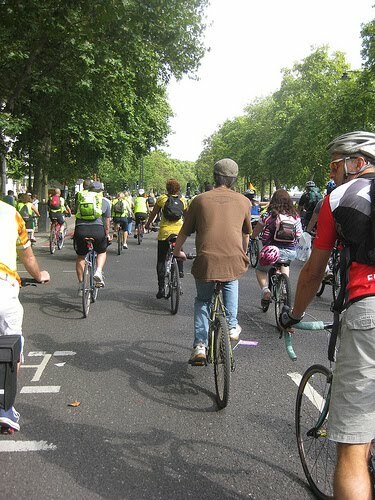 The first in a series of three London Sky Rides this summer kicks off in Hillingdon this afternoon, giving cyclists their first chance to cycle car-free streets in the borough as part of the event. Your author has joined the Central London skyride in previous years, and it is usually great fun (unless you want to leave the designated route). Hillingdon's looks very good as well, even if they have inexplicably asked father-of-the-late-Jade-Goody's-children-and-famous-for-very-little else Jeff Brazier as a 'special guest'. Christ knows how much Brazier can demand for a public appearance. Your author hopes they have not paid more than the 78p he is worth. 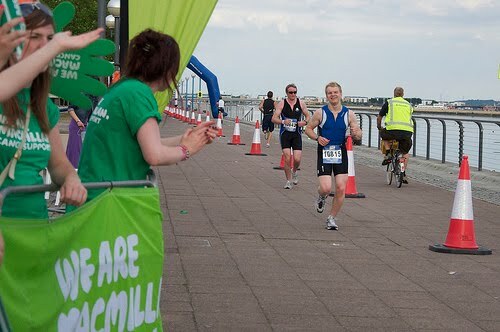 This year's London Triathlon takes place this weekend, with tens of thousands of competitors gathering around the Royal Docks in East London to take part, or support those who are. The swims take part in the Docks themselves, whilst cycle and running legs are in the vicinity of the ExCeL exhibition centre. 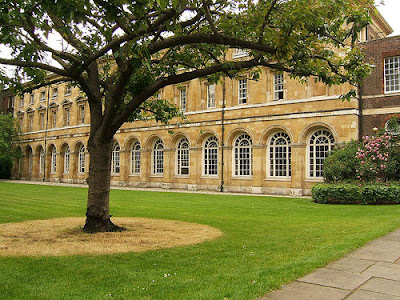 Spectators are actively welcomed, and unusually for a London event there is even car parking. An odd little bar in the winding alleyways behind Holborn Station, Bar Polski is a reasonable spot for a quick drink in passing. Your author was coaxed in by a friend who recently told him that they did vodka that was 'actually nice', and the convincing barman was very persuasive in his selling of something that 'tasted like apple crumble'. Inside, the bar is quite plain, with metal chairs and very few features except one wall full of pictures of cockerels. 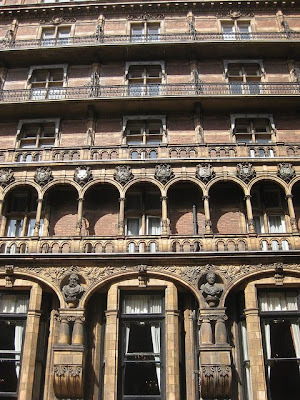 The clientelle was a heady mix of group-drinkers, those on early-in-the-relationship dates and groups. There was food, but it didn't look particularly special. Timeout says they have fifty vodkas and fancyapint give them three out of five. That seems about right. For more, click here. 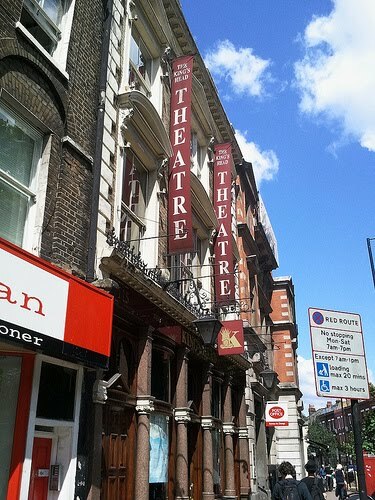 Founded in 1970 by Dan Crawford, the Kings Head Theatre Pub, on Upper Street, claims to be the the first pub theatre founded in England since the days of Shakespeare. The pub itself is, we are told, much older, and has the backroom which now houses the theatre was previously a boxing ring and a pool hall. 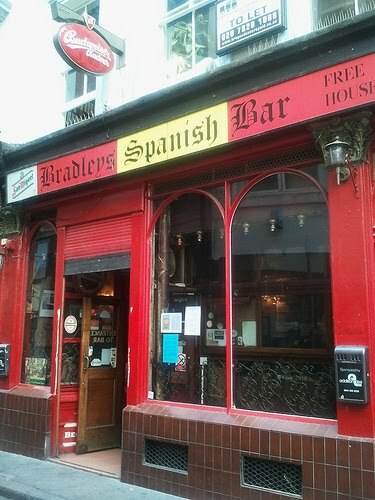 Indeed, a Kings Head Pub was apparently mentioned in Samuel Pepys' diaries, and is rumoured to have been called the Kings Head after Henry VIII began stopping in for a pint on his way to see a mistress. Whilst Crawford died in 2005, the Theatre continues, and offers regular performances in various genres. The pub, meanwhile, offers free music on most nights. The Himalaya Palace was the UK's biggest Bollywood Cinema, like a genuine piece of the Subcontinent in the heart of Southall. First constructed in 1912, as the 300 seat New Paragon Palace, its Chinese-style exterior dates from 1929. 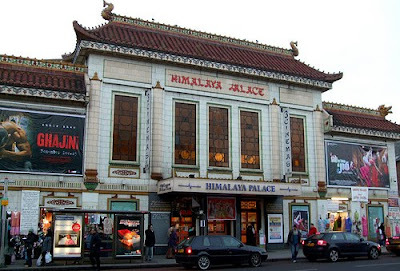 The cinema began showing Bollywood films around the 1970s, and reopened as the Himalayan Palace in 2001, billing itself as the 'most luxurious three screen cinema in West London'. 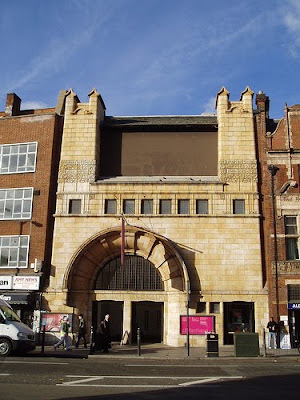 However, it closed last year, and plans are apparently afoot to convert it into an indoor market. For more, click here. Built on a 2.3-acre site given by the British Government following the Second World War, the London Central Mosque was completed in 1977 to a design by Sir Frederick Gibberd, and cost £6.5 million. The large copper dome which sits atop the Mosque is based on the design of the Dome of the Rock in Jerusalem, and it is certainly imposing. Inside, the Mosque has capacity for around 5,000 worshippers, but during Eid it has been known to attract up to 50,000. 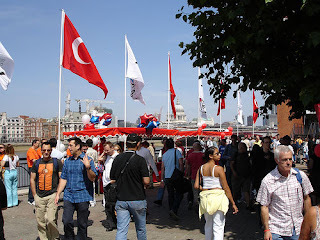 The annual Turkish Festival began yesterday on Potters Fields, between Tower Bridge and the GLA Building, and continues today until 6pm. We are told that there will be entertainment, a Turkish bazaar, an art fair, and Turkish food, drink and spices. The weather looks pretty good as well. 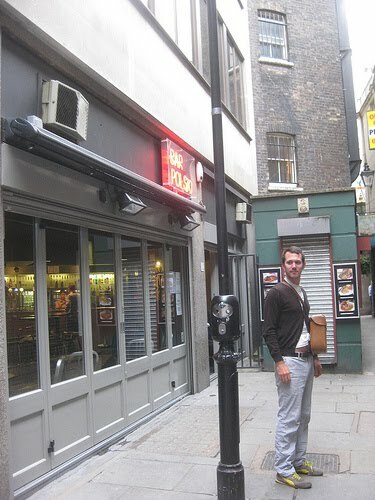 A memorial to DC James Morrison is found on Montreal Place, just off the Strand in Central London. Morrison was killed in 1991 when - whilst he was off duty - he chased a thief in Covent Garden, and was fatally stabbed whilst trying to make an arrest. With all the scandal surrounding the Metropolitan Police in recent weeks, it's easy to forget what dedication many ordinary police officers like Morrison show to their jobs. 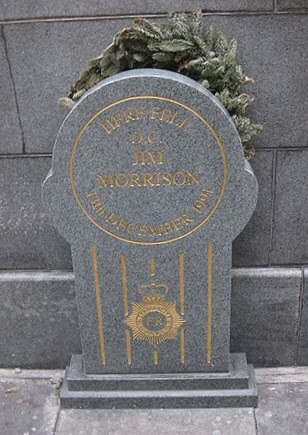 Morrison was posthumously awarded the Queen's Gallantry Medal, and the memorial was unveiled to him in 1994. 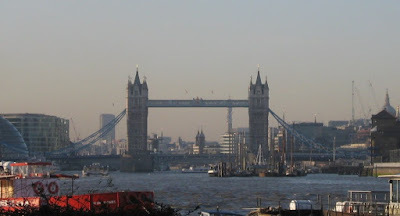 Tower Bridge is probably London's most iconic, but it is nowhere near as old as some might imagine, designed by City architect Sir Horace Jones in 1884 and opened after his death in 1894. Originally, the Bridge's high walks were designed to allow pedestrians to cross the river when the huge hydraulic bascules of the bridge were raised to allow ships through, but the walkways closed in 1910 due to lack of use, and since 1982 have formed part of a museum about the bridge known as the Tower Bridge Exhibition. The Exhibition tells the history of the bridge and explains how it works, as well as offering stunning views over Central London from the walkways. 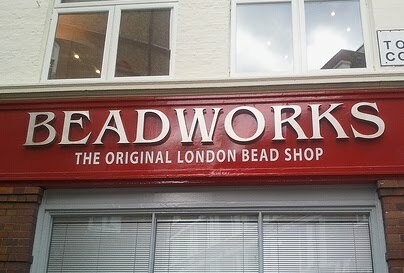 Admission is £8. 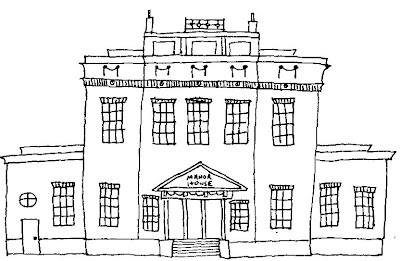 Your author is a big fan of the work and staff at Manor House Library, in South East London. You can go there, pick out loads of books, and take them home with you. It's fantastic. Sure, it costs a lot in terms of council tax every month, but they're always so friendly. 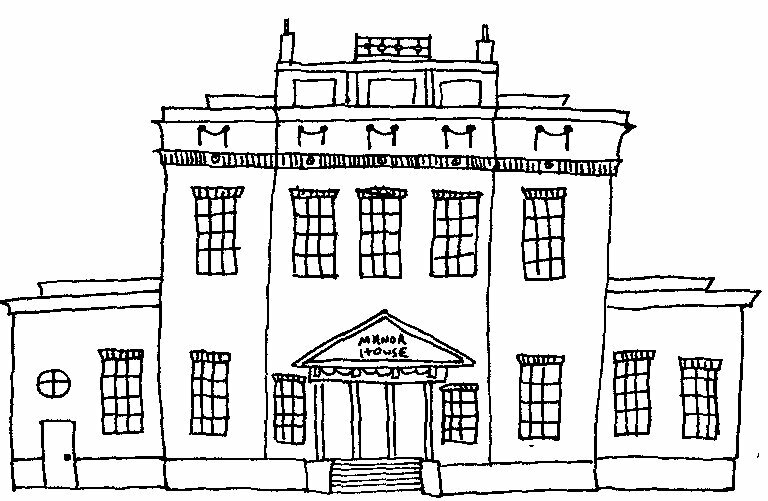 The Manor House itself is a Grade II* listed building, and if the rough illustration above doesn't do it justice - or include the huge guns which stand at the front - your author must apologise. You can see a real picture here. 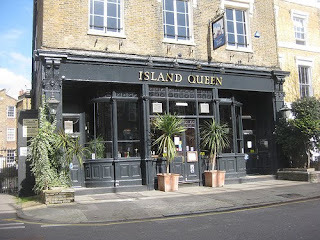 An attractive little Mitchells & Butlers pub near the canal and Boris' house in Islington, your author has never had a disappointing visit to the Island Queen. 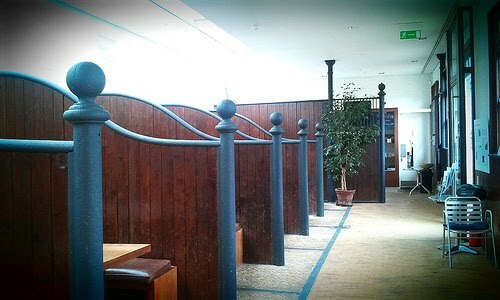 The pubs high ceilings, central bar, food and ales make it a pleasant spot, and the front area is especially nice on summers evenings. Though this isn't important on the autumnal evenings we are having at the moment, it's worth considering for next April. Founded in 1895, the Jewish Cemetery, on Hoop Lane in Golders Green is divided into different areas, with Orthodox Sephardic Jews buried in the Eastern section, with the feet of the dead facing Jerusalem, and the upright headstones of Reform Jews in the Western section. 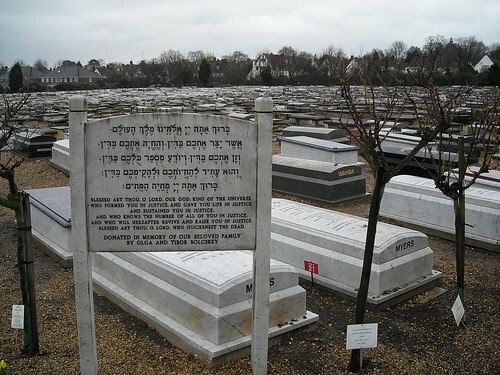 Famous people interned in the Cemetery include early twentieth century barrister and biographer Philip Guedalla, pianist, conductor and composer Sir Frederic Cowen, and cellist Jacqueline du Pré. 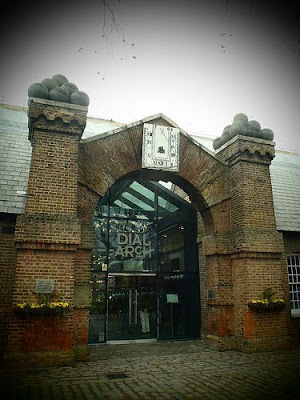 Opened last year as a Young's pub, the Dial Arch, at the Royal Arsenal in Woolwich, is significant for a number of reasons. 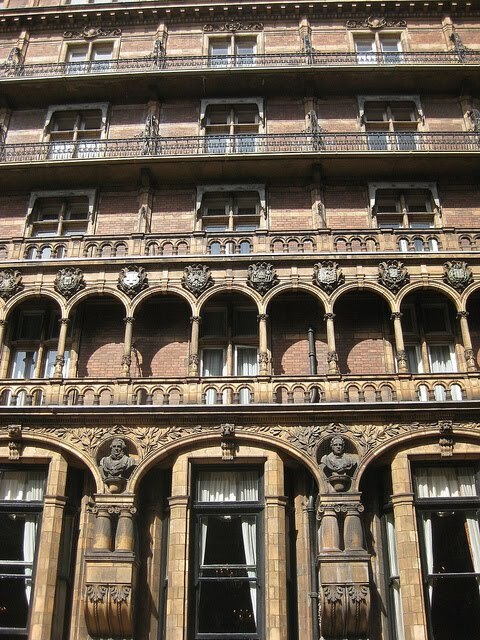 The Arch itself is a listed structure and was built around 1720. 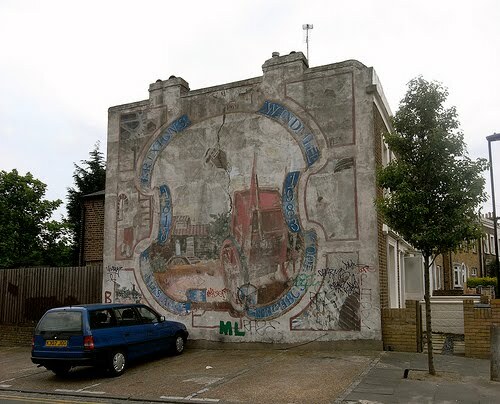 The Dial Arch and the square in front are significant not only for their association with the Royal Arsenal but also as the foundation spot for the Arsenal Football Club, which began life in 1886 as the Dial Square Football Club for workers from the Arsenal and did not move to North London until 1913. 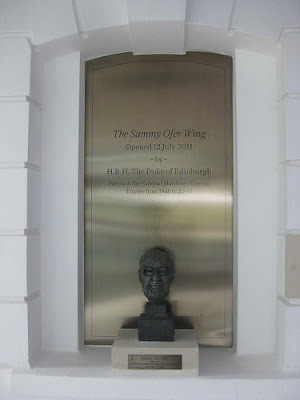 Your author happened to be wandering in Greenwich yesterday afternoon and discovered that a new wing at the National Maritime Museum had opened this week, thanks to a £20m gift to the Museum from the late shipping magnate and philanthropist, Mr Sammy Ofer. Sadly, Ofer died a month and a half ago at his home in Israel, but he would have every reason to be proud of his new wing, which brings a museum which people have previously been too quick to deride right up to date, even though it does change the entrance so it is on the wrong side. The new Sammy Ofer Wing presents a new exhibition space - currently showing an exhibition on the High Arctic - an archive research centre, a cafe and a new shop, amongst other things. Until the end of August, Westminster Abbey is hosting weekly concerts on its College Garden, and the second in the series is today. Visitors are invited to bring a picnic and a blanket and enjoy free music from some of the best brass bands in the country on Wednesdays from 12.30pm until 2pm. Today's concert features the Band of the Surrey Yeomanry, and anyone interested is invited to bring a picnic and a blanket for a free concert, with any donations going to band funds. This sort of thing is one of your author's favourites. 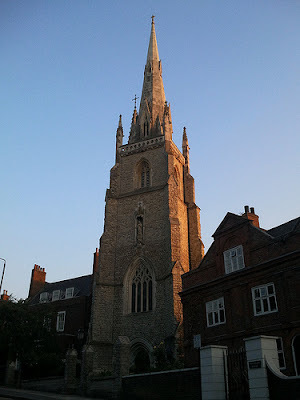 As your author climbed Crooms Hill in Greenwich last Saturday, he was struck by the beauty of the Church of Our Lady Star of the Sea at sunset. 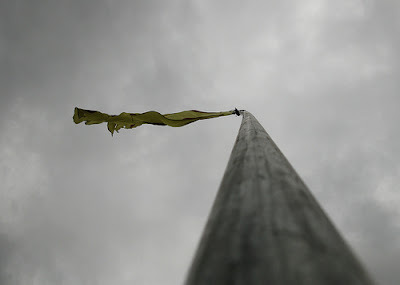 Granted it was a beautiful day, but there was something special about it. 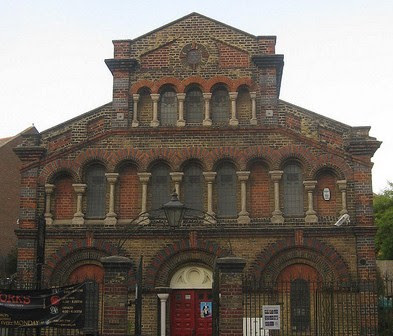 Originally built in 1793 and rebuilt in 1851 by W.W. Wardell, the church was designed for the Catholic seamen who were based at the Royal Hospital down the hill, attracting a mixed congregation dominated by those born in Ireland but also including sailors from Portugal, Brazil and India. 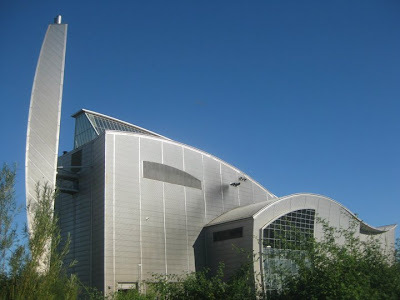 Inside, the church boasts designs by A.N. Pugin. To read the information above again, visit http://www.greenwich.gov.uk/Greenwich/LeisureCulture/Churches/ChurchLadyStarSea.htm, from where it came. 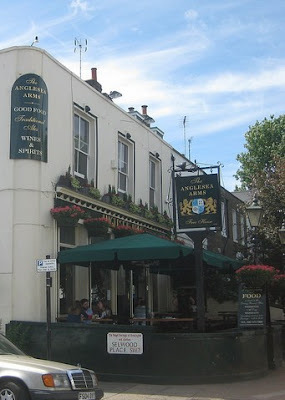 Built in the 1820s and first occupied in 1829, the Anglesea Arms, in South Kensington was originally known as The Swan. Though it was rather pricey when your author last popped in, it's a decent little pub in an area with a surprising dearth of pubs in general, probably owing to the high property prices in the area. 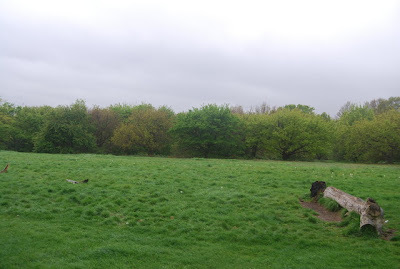 It is also said to be the place where Bruce Reynolds planned the Great Train Robbery. Established in 1988 by Jane and Peter de Wit, Peter de Wit's is a small family-run cafe in the centre of Greenwich. 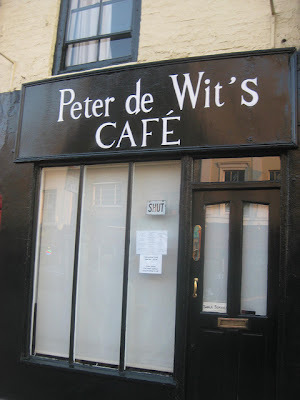 The cafe serves as an traditional English breakfasts-and-sandwiches cafe during the daytimes, priding itself on free range eggs, local sausages and local beer, and in the winter season also has Jazz nights which sadly only last from September to June. We shall return to them later in the year. 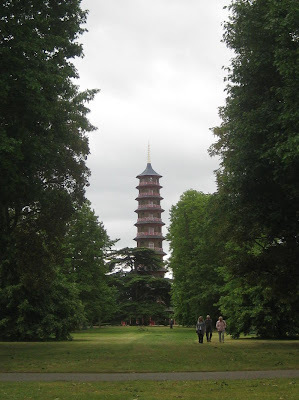 The Pagoda at Kew looks like a fairly new addition, but though it has been through a few restorations, there has been a pagoda here since 1762, when it was designed by Sir William Chambers in a Chinese style. sitting at the centre of various vistas which are part of the gardens grand plan, lined with trees of all kinds. At the Southern end of Lambeth Borough, Streatham Common is a large open space at the southern tip of Lambeth, in an area was once part of a larger ancient common of the manor of south Streatham. 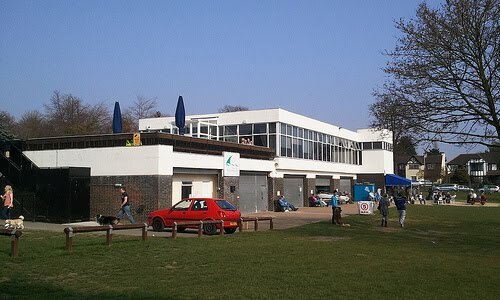 The modern Common still has significant areas of acid grassland and woodland, and is also home to the formal gardens of the Rookery - laid out on a site where people used to come to take the mineral waters of Streatham Spa - and is also home to various amenities such as a playground, a summertime paddling pool and a tennis court. Danson Park, in the London Borough of Bexley, is home to a watersports centre which hosts sailing, windsurfing, canoeing and kayaking and various other sports which you wouldn't want to do in the winter. The lake also has rowing boats, and even - in the ultimate show of its modernity - has courses in womens' sailing. Where will it end?! If you flush the toilet in South London, there's a good chance the contents will eventually arrive in Crossness, the destination of Joseph Bazalgette's Southern Outfall Sewer and home of the grand Victorian Crossness Pumping Station. There is good news, however, as whilst modern Crossness still processes sewage, Thames Water has found an excellent use for your 'sludge'. In 1998 the Crossness 'Sludge' Powered Generator was built, at the cost of £165m, and now rather than just depositing all treated 'sludge' directly into the sea, some of it is converted into energy through the Crossness 'Sludge' Powered Generator. Originally constructed in the 1760s, the Grotto in Wanstead Park was once a boathouse and survived both the destruction of Wanstead House in 1824 and plans for its demolition in 1835. 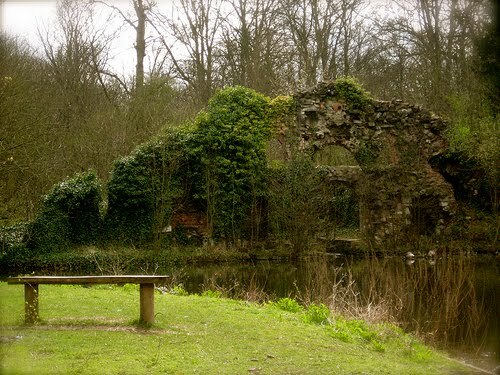 Unfortunately, a fire destroyed most of the grotto in 1882, but some of the facade is still standing, and a The Grotto has recently been cleared of vegetation in an attempt to protect what remains.